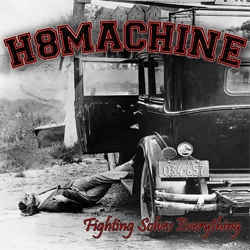 H8machine will be doing another cd or two within the new few months. Whats in the works? The next release will be a full length cd consisting of songs that were the bands favorite bands. Expect a wide array of unique covers. Dennis Machine had been in the works writing what will be the fourth cd from the band. The new material will be nothing like the previous….we will see what that means when it is done..